The most common applications for optical coatings involve mirroring (increasing the reflection) or anti-reflection (reducing the reflection) of optical surfaces as well as producing optical filters (changes in reflection based on wavelength). A distinction can be made between optical systems with metal coatings and optical systems based on dielectric coatings. The reflectivity of metal films is essentially determined by the optical properties of the metals themselves. Examples of optical metals are aluminium, chromium, gold, copper or titanium. It only takes a layer of gold about 50 nm thick to achieve partial transparency in the visible light range and at the same time high reflectivity in the IR range, and this fact can be used to good advantage in coatings on heat protection visors or protective goggles for welding. An easy way to apply an anti-reflective coating to glass is the sputtering or thermal evaporation of what is called a λ/4 layer of, for example, magnesium fluoride (MgF2). If the layer thickness d is determined according to formula d = λ/(​4 x n), where n is the refractive index of the layer material and λ the wavelength of the light, then the light waves reflected at the two boundary surfaces (air/coating and coating/glass) interfere destructively. The result is a reduction of the reflection. Another possibility, for example, is the deposition of triple layers with n (air) < n1 < n2 < n3 < n (glass). In this case, the anti-reflective effect is achieved by well-chosen refractive indices, which produce a gradual transition of the refractive index of air into that of glass (gradient layer). 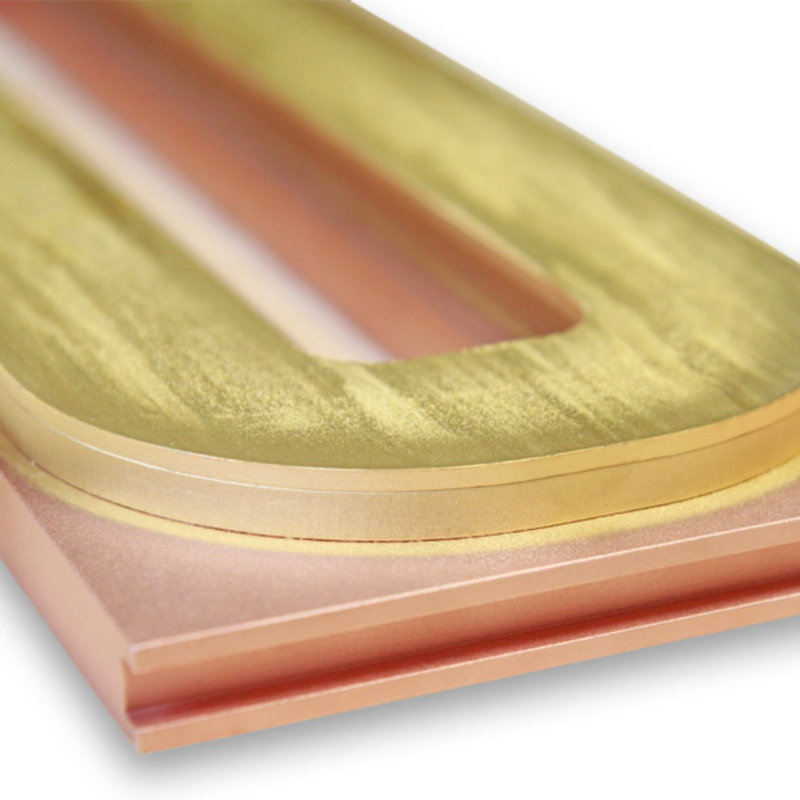 Multi-layer stacks are required to produce complex optical coatings that minimize reflections and maximize transmission to the greatest possible extent. In general, these multi-layer coatings consist of alternating layers of low- and high-refractive index materials with a well-defined layer thickness each. The many boundary surfaces and their associated reflections in the layer system lead to interference, destructive as well as constructive, and determine the optical characteristic of the whole stack. Wavelength-selective filter coatings are based on interference layer systems constructed of high- and low-index dielectric materials (see above). For demanding narrow-band filter applications, the stacks of optical layers can consist of a hundred individual layers or more, with the highest requirements for the uniformity of the individual layer thicknesses (special filter design). Please read more about it on our page FHR.Star-EOSS® page. FHR Anlagenbau has sputtering techniques suitable for the deposition of dielectric layers, including medium frequency (MF), high frequency (HF ), pulsed DC and reactive sputtering.